The Cyclonic Hindu is how Swami Vivekananda was described in one of the many newspaper reports that appeared after his stunning debut at the Parliament of Religions in 1893. Swamiji himself mentions this in his letter of 15 March 1894 to the hale sisters and also in an undated letter swami Ramakrishnananda in early 1894. In the Later he observes, " I am an instrument and he is the operator. Though this instrument he is rousing the religious instinct in thousands of men and women here love and revere me.
. I am amazed at his grace. Whichever town I visit, it is in an uproar. They have named me the cyclonic Hindu''' (complete Works6 283). In the hale letter however his attitude is quite different: "I am really not cyclonic at all. Far from it what I want is not here nor can I longer bear this cyclonic atmosphere (cw8: 302). Instead he clarifies that what he is teachings is the way to perfection to strive to be perfect and to strive to make perfect a few men and women (ibid). This collection of essays tries to capture the complexity and ambivalence inherent in Vivekananda's ambivalence to the west. When he faces India he recognizes that his triumphs in the west give him the requisite leverage resources and prestige to carry out the west he emphasises instead, the deeper Vedantic and spiritual roots of Hinduism. A rational religion free of dogma and committed to self-realization and self-perfection he wishes he advocates the long dormant but powerful spiritual energies for social economic development. 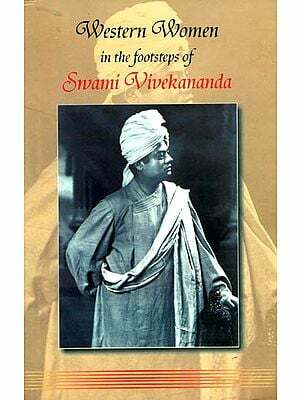 To commemorate 101 years of Swami Vivekananda's passing a seminar to assess his impact on the west and his relevance to Indic Studies, University of Massachusetts at Dartmouth this book brings together many of the papers presented during that seminar, along with some new ones. With papers by practicing scholars and ordained monks from both the US and India this unique collection examines not only Vivekananda's contemporary significance but also assesses his unique contributions to fields as diverse as Buddhism Christology and the new age. Also included is a transcript of a panel discussion on Swami Vivekananda the next Hundred Years? This book is compulsory reading for those interested in the impact of Indian spirituality on the west. But what would be the theme of this conference? Vivekananda's influence remains undiminished even a century after his passing. In major cities of India conference on Vivekananda are held almost routinely on an annual basis. A web search on him results in more than 110,000 hits. In India and especially in Vivekananda's land of west Bengal there are countless educational institutions hospitals and nursing homes youth clubs and even sweet shops hair-cutting saloons and pharmacies in his name. Is there any aspect of Vivekananda's work/teachings that is relatively unexplored? However, we realised soon that there is limited information on Vivekananda's impact on the west. Moreover the conference location would be Massachusetts USA. Thus the theme," Impact of Swami Vivekananda's Vovage to the west. " Of Course. We know that not all essays this presented at the conference addressed this theme directly. We have therefore modified it suitably in the subtitle of the volume. The quality of any conference is as good as the quality of its participants which includes both speakers and their listeners. Again. We found numbers instances where the speakers in a Vivekananda-related conference were either monks primarily in the Sri Ramakrishna order that was founded by Vivekananda or scholars of Vivekananda literature. The audience was passive and consisted primarily of devotees of Vivekananda; the level of interaction was therefore limited. To avoid repeating academicians who have studied the Ramakrishna Math and mission movement in India and the west, monks of the Ramakrishna order, students. And general public to discuss the contributions of Vivekananda to the west. And the relevance of his teachings today and in the future. After the thoughtful and though provoking Keynote address Swami Tyaganand, three general ideas were considered for detailed analysis. 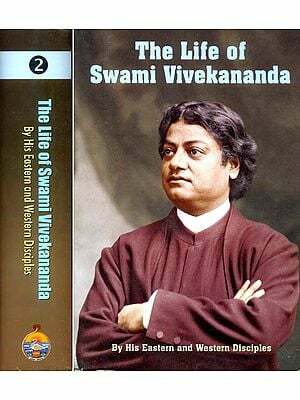 § Western approach toward Indian spiritual traditions after Swami Vivekananda: The general consensus among scholars is that Vivekananda's speeches at the Parliament of Religions in 1893 kindled the west's interest in Indian/Asian spiritual traditions. But was it the message or the messenger? Would it be correct to say that the west had only a limited textual knowledge of India-based religions and Vivekananda appeared in flesh and blood an showed how it is lived rather textual than read? Readers will find thought provoking answers to such questions in Carl Jaskson's paper. Painstaking research, provides details, which summarises her painstaking Gayatriprana's paper of Vivekananda's contributions to the New Age movement. Peter Huff presented evidence of how Vivekananda's remarkable insight contributed to Christology. And Rina Chakravarti presents details regarding an event that has fascinated Vivekananda followers the invitation Vivekananda to attend a congress of Religion and Education in Toronto in 1895 and the subsequent events that led to his non-participation. § The applicability of Swami Vivekananda's message to the contemporary world: for the general audience perhaps this theme is of most interest. Almost all the papers in this sub-theme highlighted Vivekananda's vision of a universal religion as the answer to today's word divided on the basis of creedal aspects of religion. Swami Atmarupananda's paper presents details of Vivekananda's new foundation for world thought. He also presents his views on an issue that has interested many Vivekananda scholars: Did Vivekananda deviate from the teachings of Sri Ramakrishna? Hal French and Sitansu Chakravarti outline the relevance of Vivekananda's teachings today and how the world can benefit form it. § Swami Vivekananda's interpretations of Hinduism: the general theme of his conference cannot be considered unidirectional. i.e. how his voyage impacted the west. Indeed, a major impact of Vivekananda's teachings is related to his re-interpretation of Hinduism, an act that is a continuous and continuing feature if Hinduism or more appropriately. Sanatana Dharma, Anantanand Rambachan presents a clear contrast of Vivekananda reclaimed Buddha For Hinduism. Makarand Paranjape takes a penetrating look at how Vivekananda is representations for the larger question of what is true in historical versus spiritual narratives. It seems that Vivekananda's sayings are like potter's clay: how they are interpreted depends on the preformed bias of the user. It is amazing how the life and teachings of Vivekananda are used by his followers (to guide their social and spiritual quests) and by his detractors (to excoriate him as a patron saint of miliant Hinduism) to Justify diametrically opposite viewpoints. Therefore it becomes extremely critical to write an independently researched biography of Vivekananda. 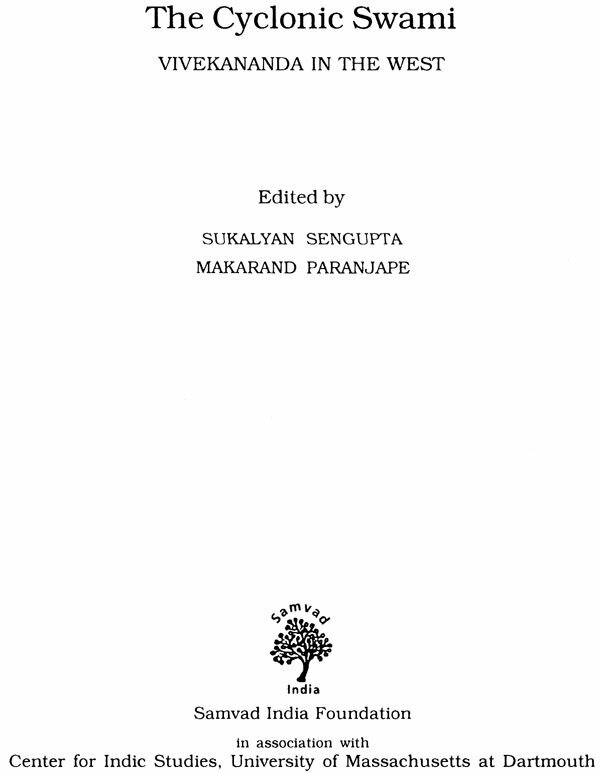 The essays by C. S. Shah and Partha Sinha are intended as pedagogical aids, specially for younger readers in the west. 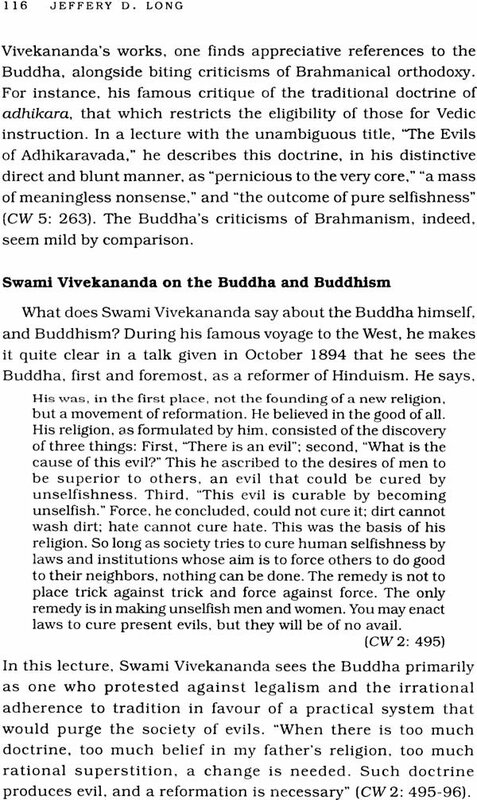 They offer a valuable summary of Vivekananda's work and message. In addition to all these papers based on the theme and sub-themes of the conference, a Penal Discussion was held as the concluding event on the second day of the conference Moderated by Makarand Paranjape the panel Discussion was held as the concluding event on the second day of the conference Moderated by Makarand Paranjape, the panel consisted of Swami Ananbtanand Swami Vivekananda: The Next Hundred Years allowed each of each of the seven panelists to contribute an opening statement as to how they felt Vivekananda would be relevant in the future. A transcription of this discussion is included here so as to offer a flavour of what being a part of the conference was like. The conference ended with a free-flowing Q/A session where many thought-provoking questions were asked and in response interesting (and something contradictory) opinions were presented by the panelists. As with any publication, the judgment about its quality rests with the reader. As Swami Tyagananda explained so eloquently in his introductory lecture, understanding Vivekananda cannot be completed without a rediscovery of self. If the reader believes that this publication led him/her embark on his fascinating journey of self-discovery, this publication would have served its purpose.